LINDSAY – Lindsay’s aging water and energy infrastructure needs improvement or outright replacement. And right now the City is reviewing the $3.3 million price tag. Last year City staff sought ways to upgrade or replace aging energy and water infrastructure around town at public facilities. After a feasibility study they determined the city needs to address: building energy efficiency, water conservation and water/waste water infrastructure. Climatec, LLC was selected through a request for proposal process and identified a number of improvements through their detailed assessment. Climatec recommended the City install new LED lights both indoors and outdoors, new HVAC at four city facilities, networked HVAC Temperature controls at seven sites, high efficiency dual pane windows at City hall, pumping improvements at the wastewater plant and Well 14, park irrigation control upgrades with leak detection technology and new water meters equipped with automatic meter reading technology for improved accuracy and more efficient meter reading. Finance director Bret Harmon says the City’s facilities have lacked energy efficiency because of age. “I don’t know the details about each building but it’s pretty old,” Harmon said. He added that at least the council chambers at City Hall has not been audited for energy efficiency in 40, or even 50, years. The problem with addressing the problem has not been identifying the problem, albeit Climatec has done that, instead it is being able to afford it. Harmon addressed the City Council during their Sept. 25 meeting and noted the cost to complete the projects would be $3.3 million. According to draft resolution 18-43 that was tabled during the September meeting, $1.2 million would be for the energy projects from the general fund, and $2.1 million will be for the water projects that include water meters. During the Sept. 25 meeting Harmon said that he could not recommend the City pass the project with the $3.3 million financing option. “We need to figure out more about the financing options of this before I can recommend proceeding with it,” Harmon said. According to a City staff report the initial expectation was to finance the projects through grants. But the report goes on to say there is no grant money available for Lindsay’s projects so the funding mechanism becomes long-term debt. Harmon says they are looking at options for financing but have really only considered the California Infrastructure and Economic Development Bank (IBank). Harmon said IBank offers an interest rate of 3.4% for a 20-year term which is lower than current market rates. Harmon added during the meeting that private financing is not an option because of the general fund’s chronic deficit. And they would not be able to refinance outstanding loans they got through the United States Department of Agriculture (USDA) for the library, wellness center or roads until they showed positive growth that would pull themselves out of a deficit and into a more financially stable position. “With the deficit the private market is going to shy away until they see years of incremental progress towards that. As we get more and more things that show we’re growing more and more of the way we are telling them we’re growing the private market will feel more comfortable making loans to us,” Harmon said. Harmon says the savings from the projects will pay off the term of the loan. He added that if the City takes out a loan there would not be a need to increase water rates. But the $3.3 million of long-term debt could compromise future financing options for other projects that need to be done. 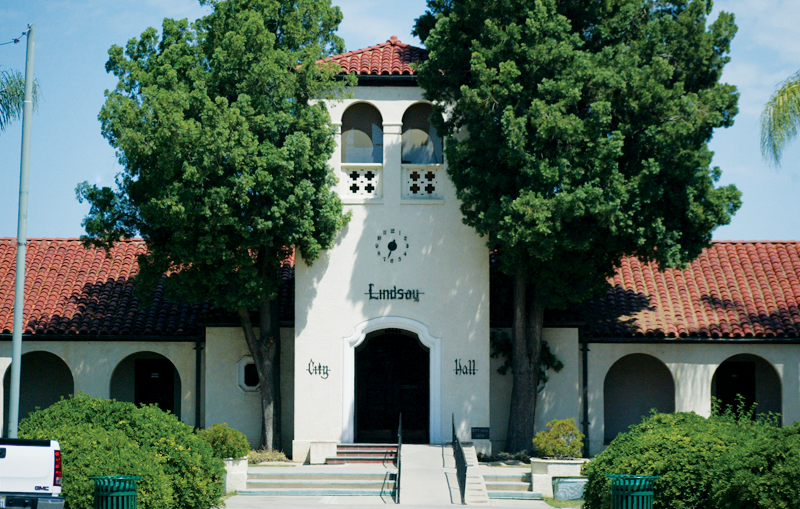 “Additional debt for these projects may cause a problem when the City needs to secure additional financing for its major water and sewer projects over the next five years,” Lindsay’s Sept. 25 staff report reads. Financing the energy and water projects is supposed to come back up to the Council on Oct. 24 after the City has fully discussed their options. Harmon did not point out where the City currently stands in reviewing their options but did say an option is to pare down their project list to reduce the cost.